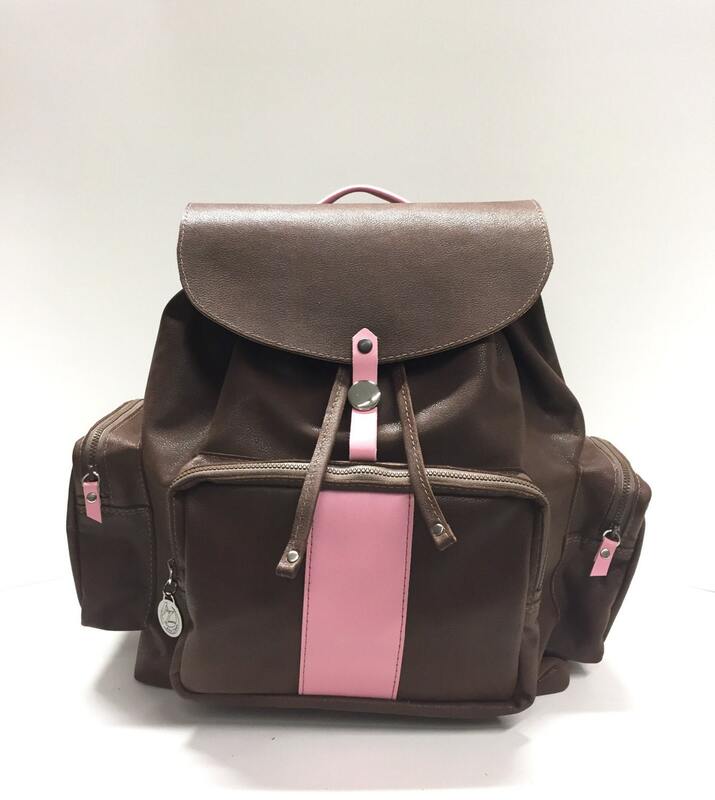 Handmade Vintage style Back pack design with striped accents. 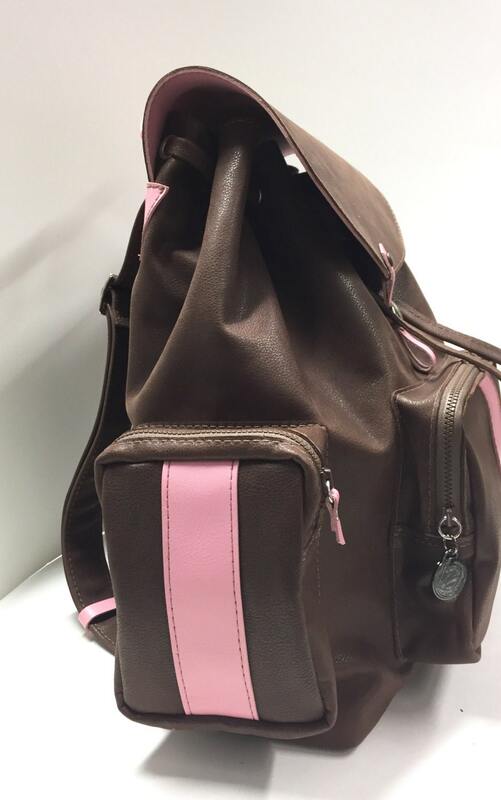 Top handle carry or Shoulder straps that are a one strap adjustable construction. 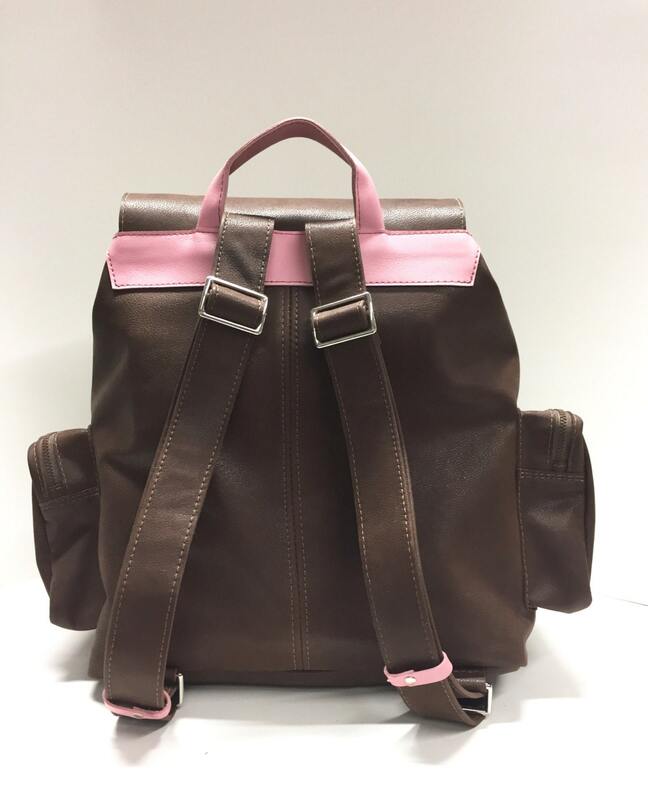 This stylish bag is roomy! 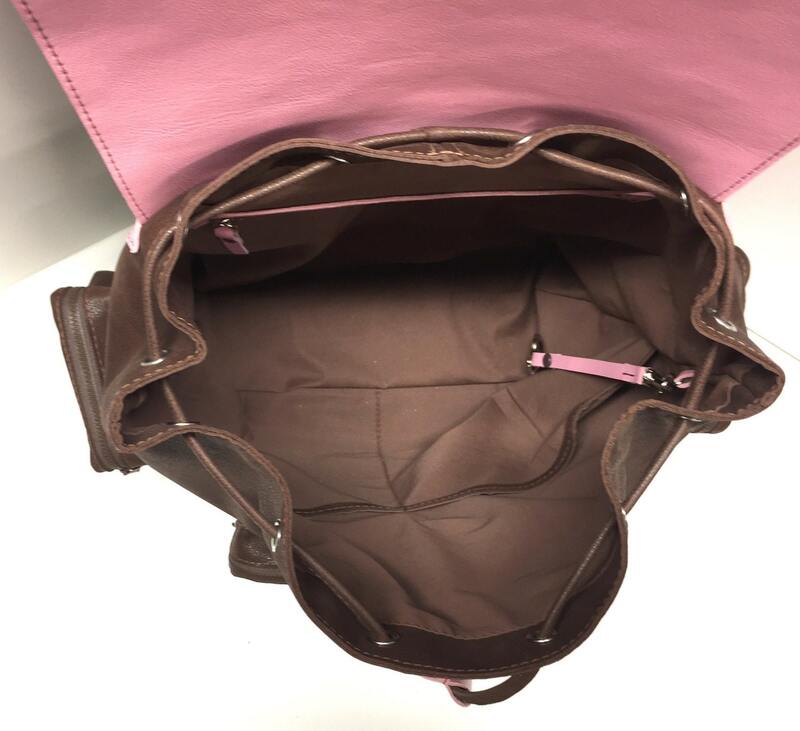 Large interior pockets for clothing, toiletries, kiddie gear and/or electronic gadgets. Fabric lining with leather accents on pockets. Zip pocket as well as 2 large data/ clothing pockets. Detachable key clip. 3 Exterior pockets that holds personal belongings or more essentials. Drawstring closure with a secondary "secret" snap closure for extra security or to keep busy bodies out. 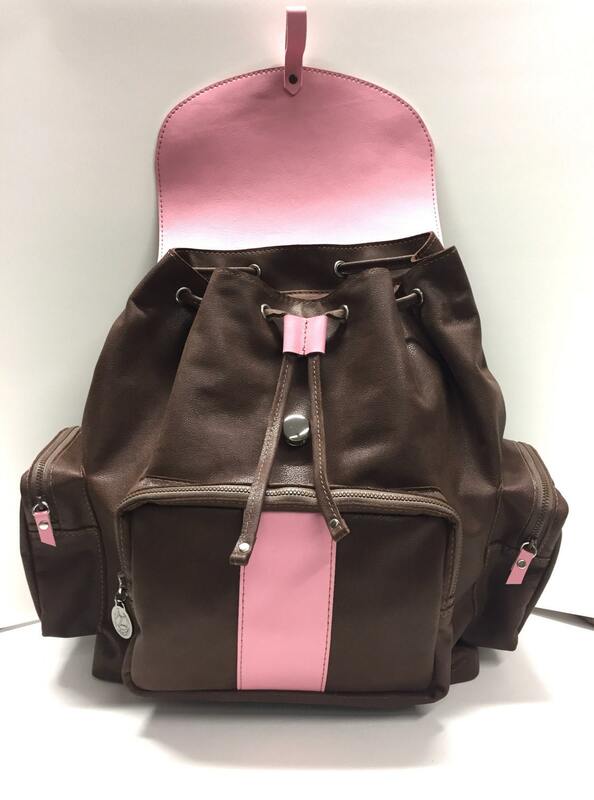 Genuine Leather- Featured Color is Vintage Brown with Pink accents. **Can be created all in same leather or from options listed in Accents drop down options. Please attach special requests in the "Note to Seller" field at checkout.